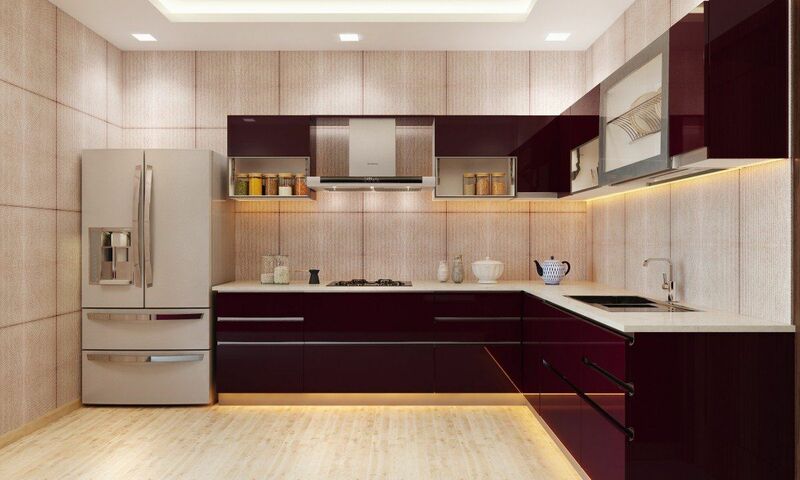 To some, modular kitchens are far superior to any of their kitchen design counterparts. They are made to make the most of space – not an inch is unaccounted for. A standard unit of the modular layout is usually made up of a number of cabinet sections. Included are wall units, floor units, tall-storage cabinets, additional storage space, and more. Before installation, however, be certain to consider a number of important factors. You’ll need to make the most of the kitchen work triangle rule. It’s based on a logical premise – it keeps your oven, sink and fridge within a four to nine foot proximity. This ensures that your food storage, preparation area and cooktop are all within reach as you make meals. It’s a kitchen philosophy that has been recognized and used for decades. Undoubtedly, it serves to increase the efficiency of any modern kitchen. Additional tweaks help improve the system. For instance, placing appliances nearer to the refrigerator makes for easier use. Use this general idea elsewhere, segregate and bundle according to functionality. The kitchen work triangle works particularly well in an L-shaped kitchen. In this scenario, you can have the stove placed between the fridge and sink, creating a very practical and user friendly arrangement. Accessibility is maximized as is the ability to work three areas simultaneously. You aren’t moving any more than is necessary! Heck, you may even pull up a chair, for the minutes that you’re not needed. Rest during the making of an epic meal is too often overlooked. 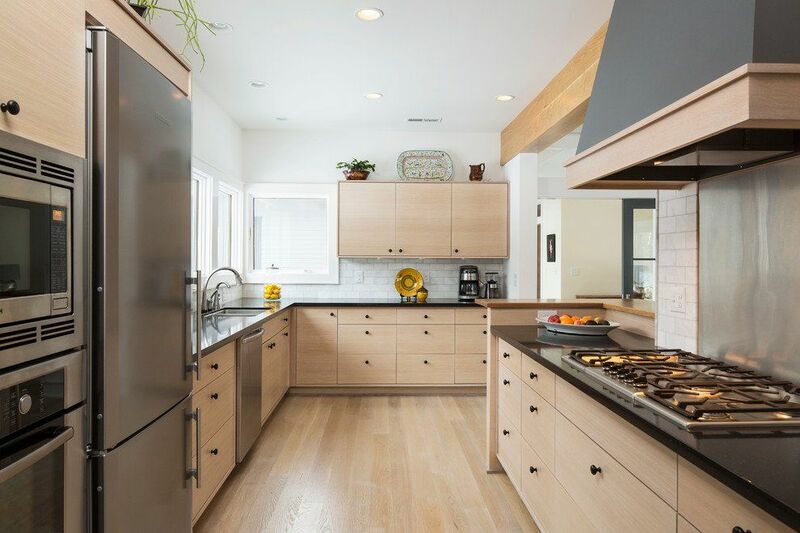 You’ll want to incorporate low maintenance materials with a modern kitchen, too. The entire concept is based on simplicity. So, materials such as steel are ideal. Obviously it’s quite durable, thankfully easy-to-clean and always evolving with the latest trends. You may want to refrain from overwhelming the kitchen with steel, lest it become industrial and cold. Include wood cabinets and granite countertops and you’ll offset any danger of an overly sterile environment. Another advantageous feature of a modular kitchen is the wealth of compartments. You can maximize the space of all of your storage areas. Dedicate sections to certain things, like utensils and small accessories and bigger areas for bulky items like pots and pans. Strategic placement should be employed too. Naturally you’ll want your cookware right below your cooktop. Meanwhile, sectional drawers make organizing the kitchen a breeze. There are appropriately sized spaces for everything you use in the kitchen – it’s all self-explanatory, really. Plus, there’s plenty of room to move things around and set up your kitchen to match your work habits. If you have to make due with a smaller kitchen be sure to make the absolute most of your storage capability. 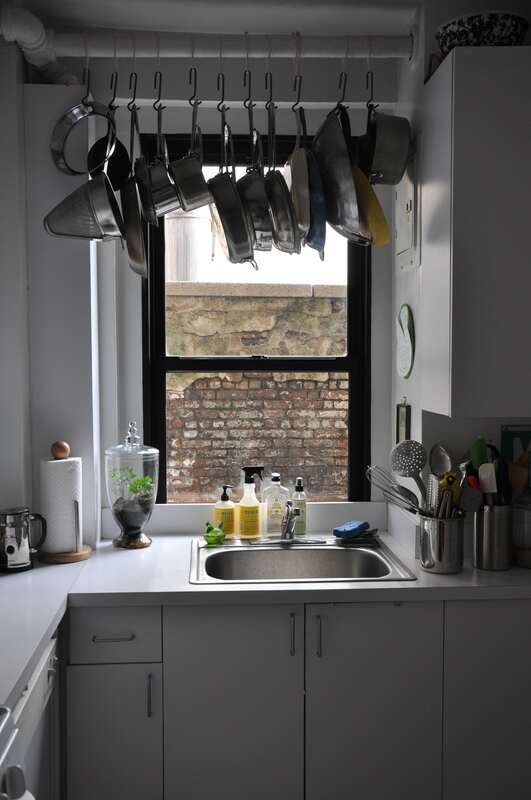 If possible, hang your pots and pans in order to free up cabinet and drawer space. You may even hang kitchen utensils to make that extra bit of storage available. Homeowners do well for themselves when installing a pantry in a modular kitchen. Essentially a closet for a variety of foods and related items, it can hold crockery, cutlery, and is typically ideal for food products that do not perish easily or quickly (such as pasta, rice, powdered drink flavoring, spices, etc…). You can add a spacious modular unit that has pull out racks in place of drawers. Typically these racks are made of wire or steel and are multi-purpose. They are perfect for keeping your potatoes and onions in one place as well as a variety of bottles, boxes, etc… that are of different sizes and shapes. Particularly with those onions nearby waiting to be chopped, it is always important for a kitchen to have the right ventilation. Sure, no one minds the smell of cookies in the oven but there are a host of other odors not nearly as pleasant. You need an oven hood or a good exhaust. In a modern kitchen, it is best if the hood covers the area just above the stove with a drop down of at least three inches all around. 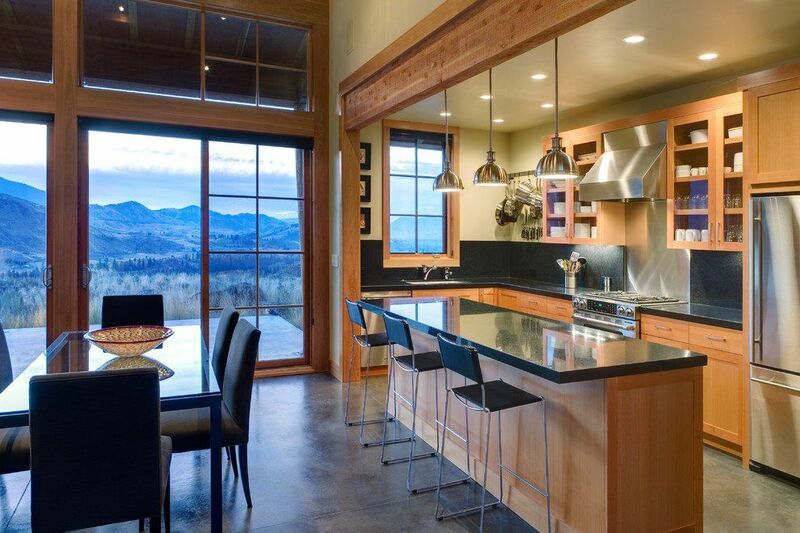 You must consider the size of the modular kitchen first, before selecting an exhaust system. Ultimately a modular kitchen is designed to not just maximize space, but to save time as well. It should inspire culinary creativity and bring out the best Chef de cuisine in everyone.